Who can honestly say that they like their commute? Commuting, is, unfortunately a part of life for most people, offering the same dreary drudgery on a daily basis. Time passes slowly, and your end destination is work. Instead of wasting your hours (and energy) lamenting the time spent getting to the office, why not use it as a time to better yourself? Your daily journey into work can actually be more valuable than you think, allowing you to get stuff done while also learning something new. Why not use your morning commute to better yourself? Take a look at some of the ways to do this below. Yes, reading is a popular commuting pastime, but how often do you read as you travel to work? Reading broadens your horizons, and reading books that are relevant to your job or career can help make you work better and harder as well as help to fuel your passion for your career. Take a look at the top business books of 2017 and create yourself a new reading list to feed your brain in the mornings. Love listening to music or the radio in the mornings? Swap them for a podcast instead! A great podcast is a fantastic way to enjoy comment and debate and give you some food for thought. There are podcasts available on all sorts of topics from managing your life and career to light-hearted and comedic podcasts. While music is great for helping to relax you, a podcast can offer a more educational experience that will make your commute more enjoyable. Why not use your morning commute to do some informal study? Use your time to learn a language or develop your knowledge on a range of topics. One morning you could be learning more about the history of World War One on Wikipedia, the next you could be learning about Bitcoin gambling with BitcoinGambling101.com. Reading the news and interesting articles will help keep your brain active, giving your mind a good warm up before you get into the office for a day at work. Do you always complain that you don’t have time to carry out basic jobs because of your busy work/social life? Stop whining and start doing. 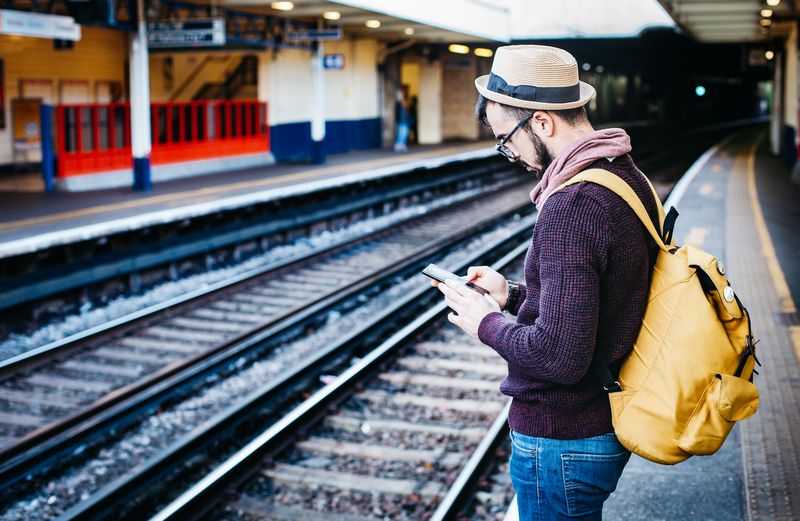 Your morning commute is the perfect time to pay bills, manage your savings, tackle your expenses - whatever needs doing that you don’t normally have time to do. Even if you can’t complete all your tasks during your morning commute, you can at least make a schedule of when you’re going to fit things in to start being more organized and in control. Commuting may feel like a drag right now, but it doesn’t have to be. Start using that precious time to yourself in a more productive way that will pass the time while also bettering yourself. It’s a simple lifestyle change to make, but one that could offer many benefits. Who knows, you might even start wishing your commute was longer to fit even more in!